PPM Analysis: All-News. 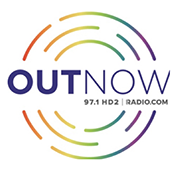 Managing editor Mike Kinosian presents a look at the performances of radio stations based on 6+ data from Nielsen Audio’s September PPM survey, today focusing on all-news. While Entercom’s WWJ, Detroit shows a marked improvement of almost a full share over its 6+ weekly AQH in September of last year, most of the country’s all-news stations declined year-over-year. 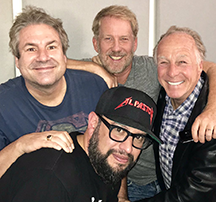 Hubbard Radio’s WTOP, Washington was again the only all-news station to rank #1 in its market, but Entercom’s KCBS-AM ranked #2 in both the San Francisco and San Jose markets, while WWJ, Detroit ranked #3 in September. See the entire report here. Dow Drops 800+, Hurricane Michael Hits Panhandle, UN Climate Change Report, Clintons Speaking Tour, Astronauts Emergency Landing, Missing Saudi Journalist, First Man Film, NFL Action, and MLB Playoffs Among Top News/Talk Stories Yesterday (10/10). The Dow dips more than 800 points on fears of interest rate hikes; Hurricane Michael slams into the Florida panhandle causing devastating flooding; reactions to the UN climate change report that heightens urgency for controlling carbon emissions; Bill and Hillary Clinton’s plan to launch a speaking tour after the November election; U.S. and Russian astronauts survive emergency landing in failed launch to International Space Station; concerns about Saudi deception in case of missing journalist; this weekend’s opening of the film First Man; the weeks’ NFL action; and the Major League Baseball playoffs were some of the most-talked-about stories on news/talk radio yesterday, according to ongoing research from TALKERS magazine. Chris Stigall Hosts Ann Coulter for WPHT Speaker Series. 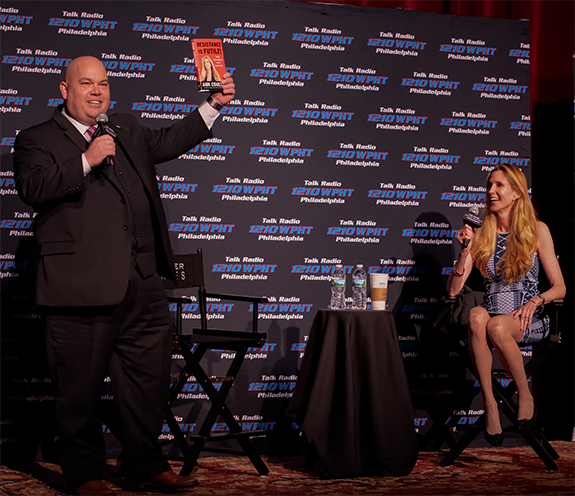 Pictured above are WPHT, Philadelphia morning host Chris Stigall (left) with author and conservative media figure Ann Coulter (right) at the Broadway Theater in Pitman, New Jersey appearing before a sell-out crowd of 1,000. Coulter is on tour promoting her new book, Resistance is Futile! How The Trump-Hating Left Lost Its Collective Mind. Stigall tells TALKERS magazine that the event also brought about 100 people out to protest Coulter’s appearance. Broadcasters Foundation of America Prepared for Emergency Grants for Those Affected by Hurricane Michael. The Broadcasters Foundation of America is preparing for another influx of emergency grant applications from victims of Hurricane Michael, even as requests for emergency aid from those affected by Hurricane Florence are still coming in. Broadcasters whose personal lives or property are acutely affected by Hurricanes Michael or Florence are encouraged to find out if they quality for an emergency grant by visiting https://broadcastersfoundation.org/hurricanerelief/. State broadcast associations in affected areas are working with the BFoA to alert members that they can apply for aid. The Broadcasters Foundation Emergency Grant Relief Program provides an expedited application process that is streamlined to deliver emergency funds as quickly as possible to qualifying individuals who work (or have worked) in broadcasting. Emergency grants are based on financial need. 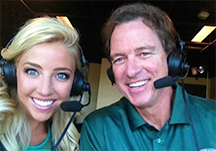 Earlier this year, the Broadcasters Foundation board of directors elected to double the maximum amount of an individual emergency grant from $1,000 to $2,000. Last year, more than $300,000 was awarded to individual victims of a rash of disasters that included Hurricanes Harvey, Irma, and Maria, as well as wildfires and floods. To learn more about emergency or monthly grants or to donate, please contact the Broadcasters Foundation at 212-373-8250 or info@thebfoa.org or visit www.broadcastersfoundation.org. Music Radio News and Career Moves. The Atlanta Journal Constitution’s Rodney Ho reports that Ryan Cameron is soon to be back on the Atlanta airwaves at Urban One’s urban contemporary simulcast of WAMJ/WUMJ “Majic 107.5/97.5,” beginning November 5. Cameron will also be working with the company to “create content and strategy.” He’ll host afternoons, bumping current PM drive personalities Silas “SiMan” Alexander and Chubb Rock to the evening show…..Entercom is launching its new morning show on Twin Cities country outlet WMNB “BUZ’N @ 102.9” that will star Mandy James, Paul “PT” Thomas, and current AM host Mike Dubs, a.k.a. Michael Wilczynski. James was most recently host of the morning show at Townsquare Media’s CHR WZOK, Rockford. Thomas comes to WMNB from Milestone Radio’s country KLCI, Elk River, Minnesota…..The Chicago-based rock band Friday Pilots Club is the winner of Cumulus Media’s 2nd annual neXt2rock competition. Close to 1,700 artists entered the second installment of the neXt2rock franchise. The final competition event featured live performances from the top five national finalists and a special performance by Roc Nation recording artist Dorothy. The winner of neXt2rock was selected by a panel of rock music luminaries and industry professionals, including Big Machine Label Group president & CEO Scott Borchetta; fashion designer and record label head John Varvatos; musician, songwriter, and producer Desmond Child; Korn frontman Jonathan Davis; and Fozzy frontman, actor, and wrestler Chris Jericho.